"For 175 years The Tablet has been a distinctive model of building up communication within the Church." 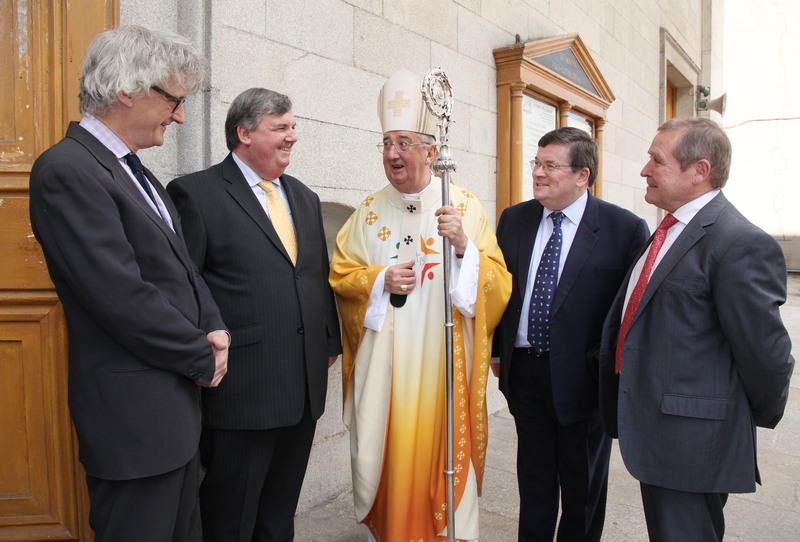 Pic shows Archbishop Diarmuid Martin chatting with Tablet management and staff after the mass on Sunday morning (l-r) Brendan Walsh, Literary Editor, Dermot McCarthy, Director at the Tablet, John Adshead, Chairman of The Tablet and Ignatius Kusiak, publisher at The Tablet. Pic John Mc Elroy. 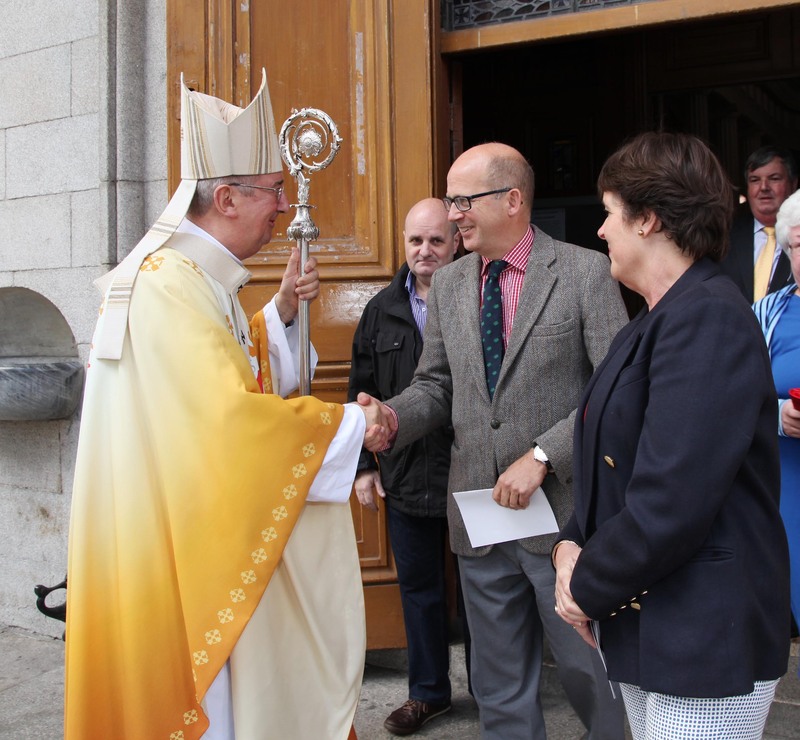 Communication belongs to the very essence of the Church, Archbishop Diarmuid Martin of Dublin said at St Mary’s Pro-Cathedral, on Sunday. The Archbishop stressed how important it is that the message of Jesus is lived and communicated within the Church. He said it also fosters something vital within the Church: “discernment about what one might call ‘the state of health’ of the Church”. “The Church’s essential teaching remains. Public opinion in the Church cannot, however, be one of mere conformity,” he warned, and added that public opinion in the Church cannot be built on the “language of divisiveness” but rather there must be a language of dialogue, of sensitivity and of openness. “It must be the language of seeking to understand and to enter more deeply into the mystery of faith,” he said. “It may at times be a tentative, enquiring and questioning language and not a language of false certitude. I think of the warning of Pope Francis at the conclusion of the Synod of Bishops last year when he spoke of: “[an inflexibility] within the certitude of what we know and not of what we still need to learn and to achieve, of not allowing oneself to be surprised by God, by the God of surprises”. 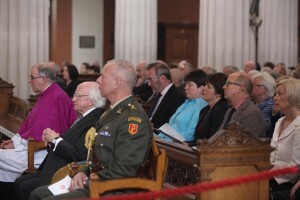 Among those attending the anniversary Mass were representatives of the Catholic press in Ireland as well as numerous priests and religious, laity from various church groups and Bishop Eamonn Walsh. The Tablet is based in London, reporting on church affairs, current affairs, politics, social justice issues, literature and the arts. However, it has a long association with Ireland not least because of its many Irish readers, but also because it was based in Dublin from 1849 until 1855, when its founder, Frederick Lucas, a convert to Catholicism died. Daniel O’Connell also wrote the very first letter to the editor in the first issue. 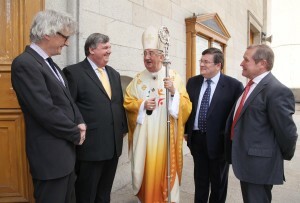 Pic shows Archbishop Diarmuid Martin greeting British Ambassador Dominick Chilcott. Pic John Mc Elroy. Now 175 years on, its readers and supporters travelled from all over Ireland for the celebration in Dublin. Representatives of the editorial staff and board of The Tablet were also out in force. 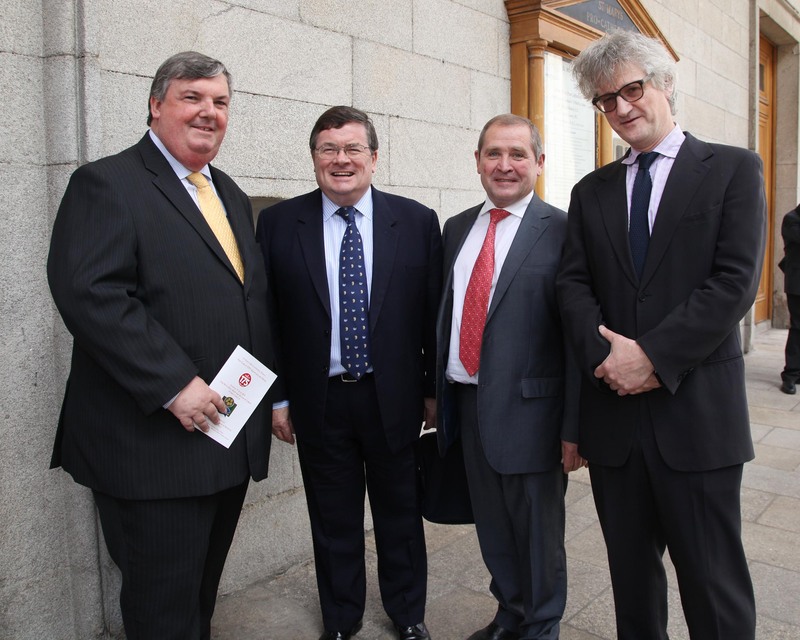 “The Tablet has always had a large number of readers in Ireland and we have always felt there should be more of them. 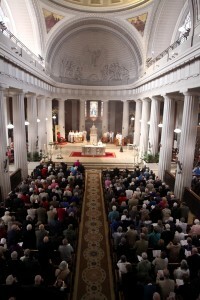 There is something about The Tablet’s values and the things that we think are important in the life of the church would strike a cord with Irish readers,” Brendan Walsh, Literary Editor, told CatholicIreland.net. Ireland is to have two more anniversary celebrations later in the year – a lecture and a concert. There will also be many events in the UK. Later in June The Tablet Literary Festival will be held in Birmingham, with many Irish speakers. 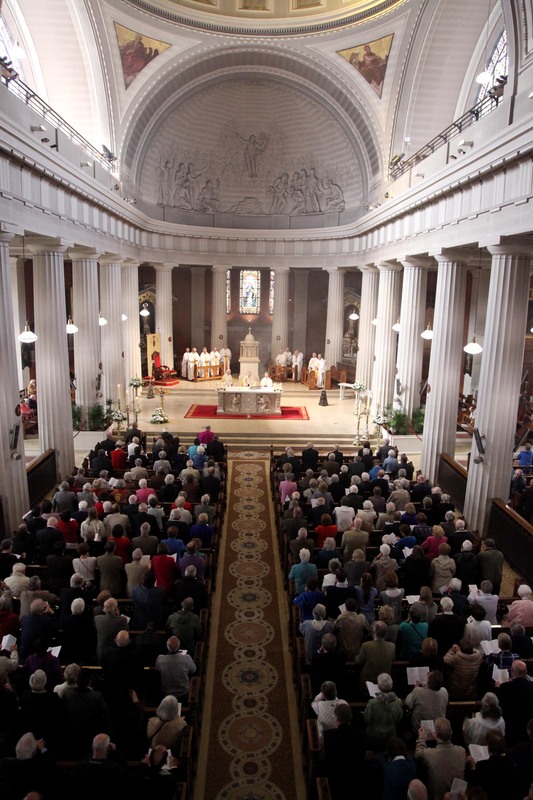 Tablet publisher and director Ignatius Kusiak told CatholicIreland.net he would love more Irish readers as the journal would resonate with many Irish people because, whether they go to church or not, being ‘Catholic’ is part of culture. People, he said, want their children to receive the sacraments and they themselves want the last rites and a proper funeral. As the onslaught of social media has caused the demise of some printed journals, The Tablet has gone online but Ignatius Kusiak told CatholicIreland.net that it is still a big challenge. “People are challenged for time, and therefore whilst we are a reflective journal and require you to think, people have become accustomed to instantaneous solutions and we can’t be about that because it would be contrary to our ethos,” he said.